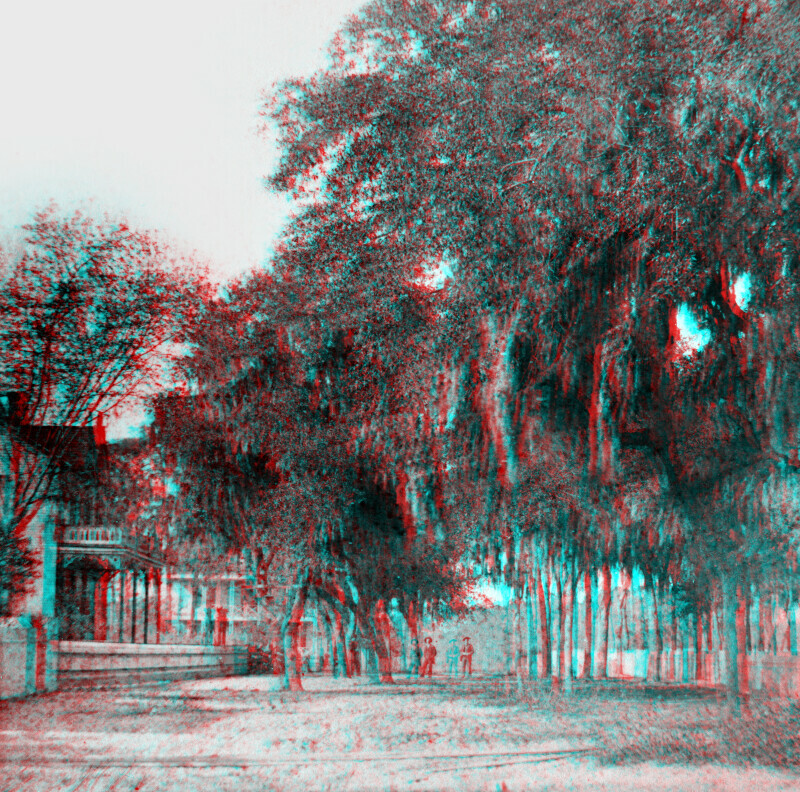 This image shows large oak trees, on Spring Street. The road is unpaved, with trees growing along its length. There are buildings on the left side of the street. There is a fence to the right of the street.